Following the successful launch of Tom Clancy’s The Division 2 on PC on the Ubisoft Store and the Epic Games store, we are announcing today that we are partnering with Epic Games on Anno 1800 as well. Players can now pre-order the Deluxe and Standard editions of Anno 1800 on PC on the Epic Games store. Moreover, all players will be able to try Anno 1800 via the Open Beta, scheduled from April 12 to April 14, by downloading the game on Uplay or via the Epic Games store. Once the game has been released on April 16, 2019, Anno 1800 will only be available digitally on the Ubisoft Store and the Epic Games store. Pre-orders on Steam can be made until the release of the game. Everyone who pre-ordered Anno 1800 on Steam will be able to play the game upon release and will automatically get all future updates and content. Will the game stay in Steam libraries for those that have preordered? If you pre-ordered the game via Steam, it will remain in your library. You will be able to launch the game through your Steam client, and you will receive all content and game updates at the same time as players on other digital storefronts. Ubisoft is committed to provide the same experience to all Anno players regardless of their point of purchase. Can I preorder Anno 1800 on Steam? Yes, while the game will be available for digital purchase only on Uplay and the Epic Games store after April 16, Anno 1800 can be preordered on Steam until this point. If you preorder the game on Steam, you will be able to play with others who purchased the game on other digital storefronts and get all the upcoming content and patches that will be released after launch. Whether you have preordered or not, we hope you will join us for the Open Beta on April 12th. Will Steam players be able to play with all other players? Yes, Steam players will be able to play online with the same players as Uplay or Epic Games store players. Anno 1800’s multiplayer modus is handled via Uplay regardless of your chosen digital storefront, and will always allow all players to play with and against each other. Will Steam CS still support players if the game will not officially be on their platform anymore? As usual, for any support inquiries concerning the Steam store environment, you will still get in contact with the Steam customer support team. 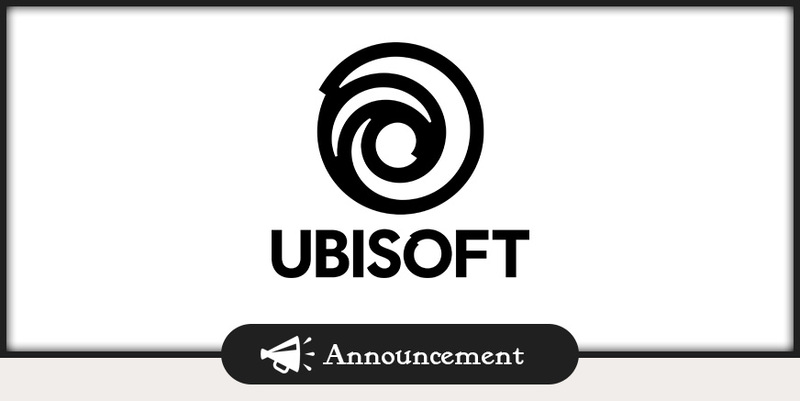 For any game related issue, such as technical problems with the game itself, our Ubisoft customer support will provide assistance. Will the experience for Steam players be the same as Uplay players? Everyone who pre-ordered Anno 1800 on Steam will be able to play the game upon its release on April 16 2019 and will receive all future content and game updates at the same time as players on other digital storefronts. Will future patch and content be available to Steam players? Steam buyers will receive all future content and game updates at the same time as players on other digital storefronts. Will the previous Anno titles still be on Steam? There are currently no plans to remove any of the previous Anno games from Steam’s storefront. Will my Steam preorder be cancelled? All pre-orders on Steam will be fulfilled. Everyone who pre-ordered Anno 1800 on Steam will be able to play the game upon its release on April 16 2019, and will receive all future content and game updates at the same time as players on other digital storefronts. Will Steam receive updates/patches like the other platforms? You will receive all content and game updates at the same time as players on other digital storefronts. Will the Open Beta be available on Steam? The Open Beta will be available to all players through Uplay PC and Epic Games store. Previous Post DevBlog: A message to the Union! Yeah, That’s gonna be a no from me, too. I am a huge ANNO fan, but Epic’s storefront is too anti-consumer for me to be interested. Let us know when you decide to come back to Steam. Perhaps I’ll consider downloading a torrent instead…. another great game i wont be able to play. To earn a little more money on buying a game you lost my purchase. That’s too bad. I really wanted to play the Anno 1800..